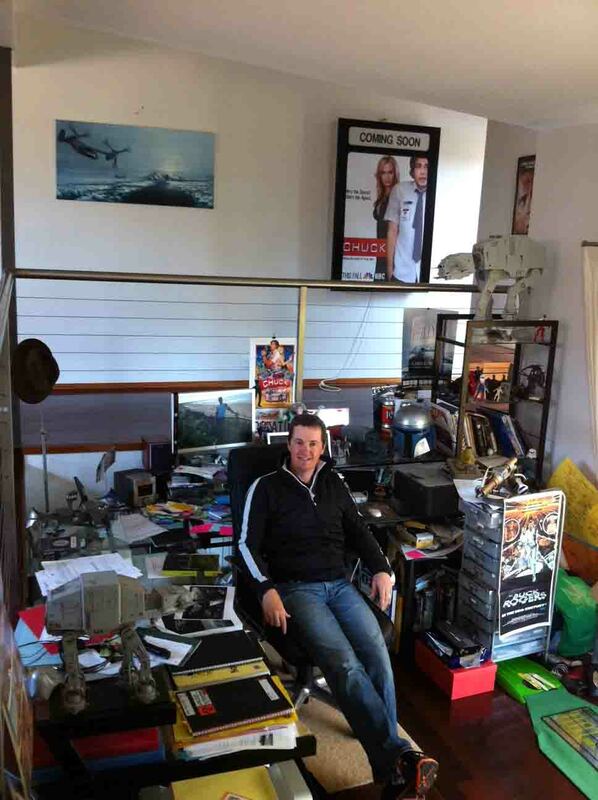 Matthew Reilly, ‘Ice Station was a direct response to Hollywood action movies. I figured that when you make a movie, you are limited by your budget. Put simply, it costs big dollars to make big action scenes. But when you write a book, you can create the wildest and biggest action scenes you like and it doesn’t cost you a cent. The only limit is the limit of your imagination! Next I have Katherine Scholes who, like Tony Park, writes about some amazing places. I’ve had the great pleasure of meeting Katherine at the RWA awards night two years ago as her book was a finalist in the Ruby. Her latest book is Lioness, set in Katherines birth place of Tanzania. Thanks Katherine, and what a gorgeous view from your window. And now to another Western Australia writer, Sara Foster. Her second book Beneath the Shadows was published earlier this year and is on my ‘to be read’ pile. 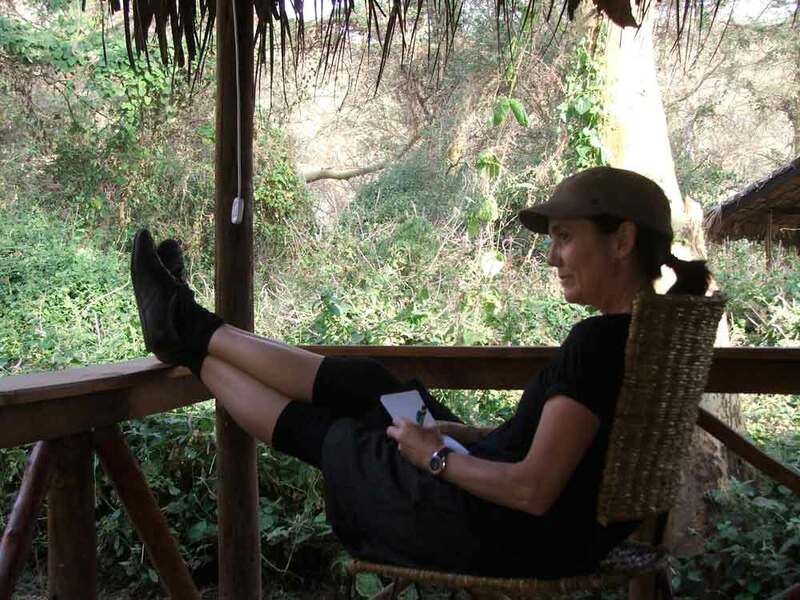 Sara: “At present I am a nomadic writer, and I love it, because I can get away from the many distractions in the house and focus purely on writing. I carry my workstation with me – laptop and folders is usually all I need, although I have been known to carry big bags of reference books too. I try to work at my local libraries as much as possible, but it means I use up to half an hour of precious writing time driving there. I also have to vacate when the mum and baby group strikes up, otherwise I find myself absent-mindedly singing along to Row Row Row the Boat, which makes me 1) lose concentration, and 2) miss my toddler! Therefore, the local cafes also know me well – and they understand that on a good week it’ll be mineral water only, and on a bad week I need infusions of hot chocolate and the occasional scone or muffin to keep me going. 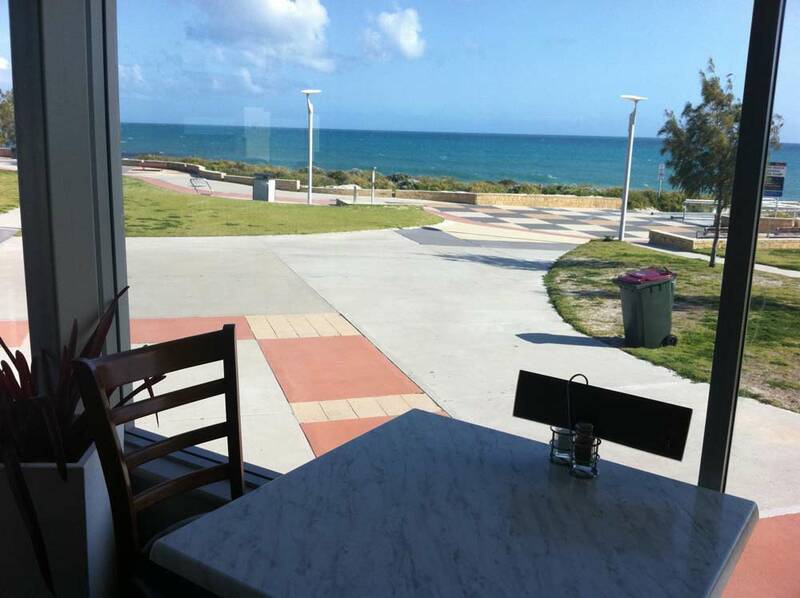 The picture is taken at one of my favourite local cafes – imagine the table with drink, laptop and scruffy bits of paper and you get the idea. 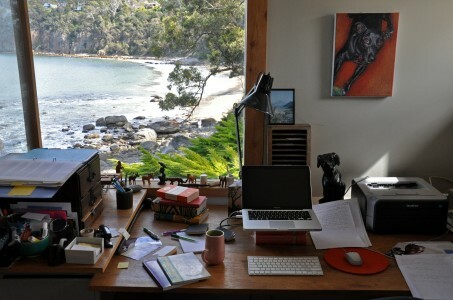 I love staring across the sea while I’m dreaming up ideas, and as a bonus their raspberry muffins are delicious! Thanks Sara. Looking out over the ocean would be so calming. I think i’m going to have to visit the coast more often.